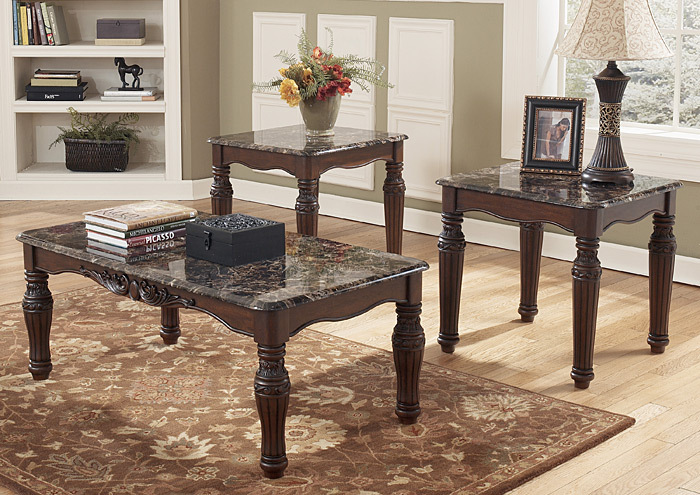 Inspired by the grandeur and grace of Old World traditional style, the North Shore coffee table set is nothing short of stunning. Rich-looking aprons and legs are accented by the most intricate appliques. 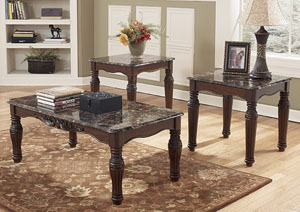 Faux marble tabletops lend an opulent look for less.